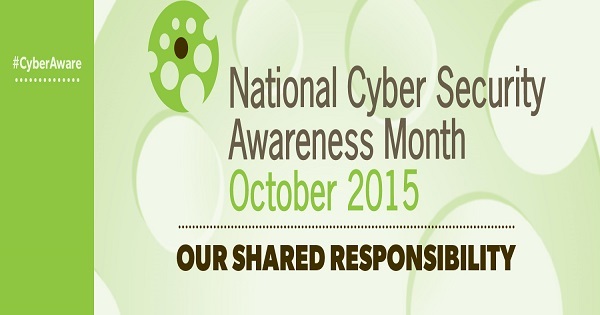 It's National Cyber Security Awareness Month! October is a month of awareness for many causes, one of which is cyber security. National Cyber Security Awareness Month (NCSAM) is a growing global effort among colleges and universities, businesses, government agencies, associations, nonprofit organizations and individuals to promote online safety awareness. People are oftentimes the weakest link when it comes to personal and organizational security vulnerabilities, so now is a great time for you and your colleagues to participate in educational events related to NCSAM. Here’s one such event you may find of interest..
How to spot and combat a phishing attack – learn with us! What does an information security officer at a security and compliance company tell employees about phishing? Listen in on ControlScan’s next employee lunch-and-learn and you’ll hear first-hand from our Sr. Director of Information Security, Compliance and IT Risk Management. How to become a security champion, both in the office and at home. This exclusive online learning event is part of ControlScan’s support of National Cyber Security Awareness Month (NCSAM) and is free to the public. *This event has already occurred. Click here to learn more about phishing and access the presentation deck. Raise your individual and organizational awareness. If you have any questions regarding your organization’s security or compliance posture, we’re happy to talk! Just give us a call at 800-825-3301, ext. 2. You can also visit us at ControlScan.com. Creating an E-Commerce Site? Consider PCI Early.